Avoid any DIY disasters and say goodbye ti mounting your TV to the wall. 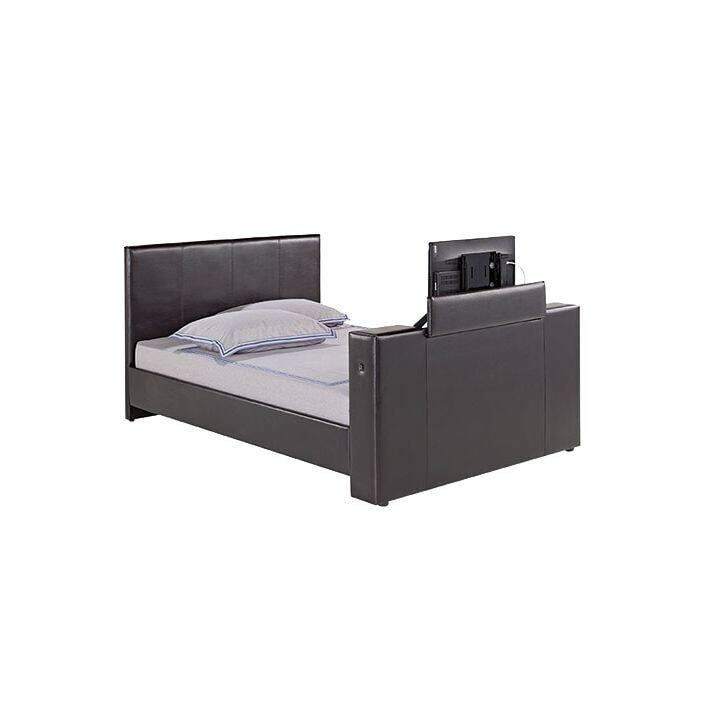 This fashionable black faux leather bed accommodates up to a 32" flat screen TV with space below to house digital boxes or a DVD player. Thanks to the inbuilt electric motor effortlessly activated via the remote control, the TV subtly emerges from the footboard, giving an excellent viewing angle and just as smoothly snuggles back down for the night too with a press of a button.